Gift cards are a great way to give someone exactly what they want – whenever the occasion demands it. But in recent days, gift cards have been used for much more than just birthday, graduation, and holiday presents. Gift cards have become a sort of “de facto” currency – and there are a number of charitable organizations taking advantage of the convenience and popularity of gift cards. This is because gift cards offer charitable organizations and community startups a good way to reward people without actually paying them cash. When people are given money, it’s usually in exchange for some kind of service – they have done something for you, and expect to be given what’s owed to them. Gift cards, on the other hand, feel different – though they can often be spent like cash, the attitude that consumers have towards gift cards is quite unlike their attitude towards money. There are higher feelings of satisfaction – because they have been given something that they didn’t expect. There are many organizations who are making use of the benefits of gift cards, and are giving back to their communities. In this article, we’ll take a look at two organizations – a church and a startup – who are innovating in the way that they use gift cards to benefit not just individuals, but their communities as a whole. Our first story comes to us from the heart of Chicago. At Sabina Catholic Church in the Auburn-Gresham neighborhood of the Windy City, Father Michael Pfleger has been hosting gun buyback programs for years. His most recent event, held on April 1, made use of a new, unique incentive for those who came to drop off their guns, whether they were functional, non-functional, or even useful only for scrap metal. Each and every person who came to Sabina Catholic Church to drop off a gun would be rewarded with a $100 gift card – no matter the condition or type of gun. Gun buyback problems are nothing new – and Sabina Catholic Church has been hosting them for years – but using a gift card as an incentive is a bit of a novelty. Certainly, the city of Chicago can use every opportunity that it gets to reduce the number of guns available to criminals. In 2016, more than 700 people were killed in incidences of gun violence in the city, and many more were injured. In 2017, more than 100 people were killed by gun violence by March 1. The victims of this gun violence are predominantly younger, lower class and African-American – it’s been estimated that 75% of all victims of homicide in Chicago are black. Low-income neighborhoods like Auburn-Gresham, where Sabina Catholic Church is located, often struggle with violent crime. As of writing this article, Auburn-Gresham was ranked 8th in violent crime in Chicago, according to the Chicago Tribune. Gun buyback programs offer one simple way to help reduce this level of crime. Having fewer guns on the street mean fewer opportunities for criminals to take advantage of these deadly weapons – and smartly implemented gun buyback problems can certainly help reduce the rates of homicide in Chicago. Let’s take a look at some of the benefits that gun buyback programs using gift cards – such as the program offered by Sabina Catholic Church – can offer their communities. Criminals are less likely to take advantage of the program – One of the primary criticisms against gun buyback programs is that criminals use them to offload stolen weapons, or guns that were used for crime. While this is often true of gun buyback programs that pay cash, it’s less likely to occur in a program using gift cards.The reason is simple – selling unlicensed, unregistered guns is illegal. However, criminals don’t care about the law, so they can always sell their guns for cash. Why would they settle for a gift card?Using gift cards gives law-abiding citizens a reward for turning in their gun – ensuring they’ll take advantage of the program – but will reduce the number of guns that are being traded in by criminals. Gives people with illegal guns, a way out – If you’re a minority in Chicago, you’re not going to turn an illegal gun over to the police – even if you don’t want it. They’ll ask you questions about where you got it, or may even place you under arrest. Anonymous buyback programs like the program at Sabina Catholic Church allow people who have illegal guns – for one reason or another – a way to get rid of them safely and without being questioned. Fewer guns on the streets – Getting rid of guns won’t solve the problems that Chicago has – but it can help. Fewer guns on the streets means that fewer criminals will be able to easily access the weapons they need to commit violent crime, and could contribute to an overall reduction in the homicide rate in cities like Chicago. The situation in Chicago is difficult – but it’s great to see organizations like Sabina Catholic Church doing what they can to help. Gun buyback initiatives using gift cards have great potential for the future. The recent April 1 event at Sabina Catholic Church was proof of this – the line of people waiting to make use of the program stretched out of the church and began winding around the entire block as the day went on. These programs also offer retailers a good way to connect with their communities – by donating gift cards to a buyback program, companies can engage with community members, and truly give back in a real, impactful way. We have yet to see if this trend will catch on, but if the success of Father Michael Pfleger’s program is any indication, private gift card gun buyback programs may increase in popularity, and spur real changes in our most disadvantaged cities and neighborhoods. If you live in America, chances are that you have some strong opinions about the current political situation in our country – no matter what side of the aisle you may identify with. In recent days, the gap between liberals and conservatives has seemed totally insurmountable – it has often been difficult for people with different political views to have productive, impactful discussions with one another. With this idea in mind, the startup “Hi From The Other Side” was founded. The app pledges to bring together both liberals and conservatives, and allow them to engage with each other and find common ground. Starbucks donated 300 gift cards to the program, and so far, it’s been a hit – the waiting list for the startup is enormous, and it has been given quite a bit of press coverage. The idea is simple. The app presents you with some basic screening questions that you can answer, authenticates your information with Facebook, and then matches you with another person with whom you share common ground – but who has a differing political perspective. Each individual is given one-half of the details of a Starbucks gift card. They may then get in contact with one another, and schedule a meetup at a Starbucks where they can share the details of the card, and use the discussion topics provided by the Hi From The Other Side app to begin a conversation about their political views, and find common ground. Suggested questions from the app include basic questions such as “What did you want to be when you grew up?” and “Who did you support during the election? Did you always support this candidate?”. The app tries to steer you towards questions that will foster a deeper understanding of your match – whether you agree with their views or not. Early results have been encouraging. Detractors said that the app may only lead to animosity and shouting matches, but when people are put face-to-face, they’re far more likely to be civil. There have been no reported problems in any meetings that have taken place so far. The matched pair simply show up, exchange Starbucks gift card information, get a coffee, and sit down for an enlightening discussion. Allows a true dialogue to be maintained, face-to-face – Lots of the time, our modern political discussion takes place on Facebook walls, in emails or through Tweets. This method of interaction is very impersonal. Because of this, people from both ends of the political spectrum are often very harsh on one another – leading to increased feelings of animosity.Face-to-face meetings don’t guarantee a successful dialogue, but once you see the humanity of another individual, you’re less likely to judge them based on their political views. Instead, you’ll attempt to understand them as a person, and find common ground. 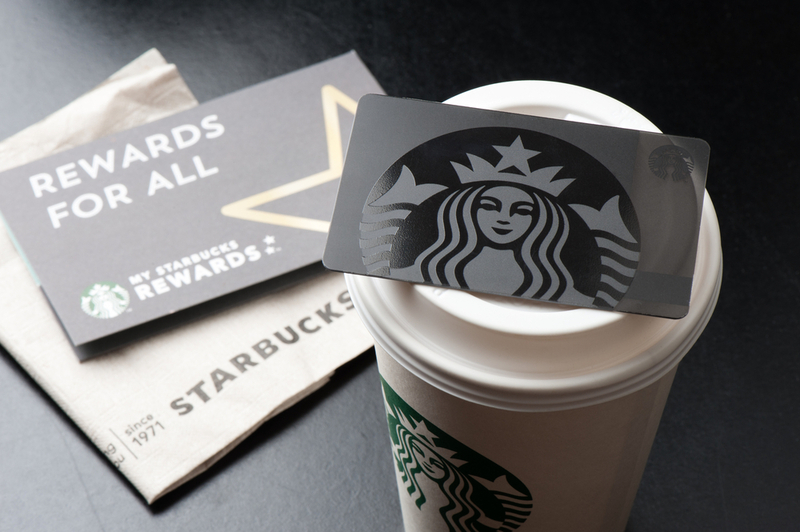 Free Starbucks card encourages participation – The free Starbucks cards being offered by Hi From The Other Side encourage participation by incentivizing political discussion. You may be wary of spending time talking to someone who is so different from you – unless there’s some benefit to be gained from it.The value of the Starbucks cards offered isn’t exactly tremendous – but the idea of meeting up with someone, enjoying some free coffee (and maybe a pastry or two) and having a friendly discussion is certainly more appealing than it would be if you didn’t get anything out of the deal. Brings Americans together – Political divisiveness can have dangerous implications for the future of our country. It’s more important than ever for both sides of the aisle to come together, and have a real conversation about the future of this country. We are facing many challenges – and unless we work together, our government may have a difficult time addressing them. The ideological divide present in modern America is stark – to say the least. It is often difficult for Americans who don’t agree on our government to share their feelings and views with each other in a judgement-free zone. Apps like Hi From The Other Side offer a real way that this sort of dialogue and engagement can be encouraged. Being rewarded for a polite, engaging political discussion is a fantastic way to show people – whether liberal or conservative – that their political opponents are not monsters. They’re human beings. They have their own unique views – and their own unique reasons for having those views. Incentive-based programs like Hi From The Other Side are valuable because they can get people to leave their comfort zone, and truly engage with their political opponents. And once they’ve done so in a reasonable manner once, they’re more likely to continue speaking to people with differing views, and attempting to understand their thoughts – rather than just judging them harshly, and ignoring their perspectives. So sign up for Hi From The Other Side. Grab a coffee. And who knows? You just might end up changing the world – or at least the American political landscape. Got Gift Cards? Don’t Want ‘Em? Sell Them Now On EJ Gift Cards! Charitable organizations and startups aren’t the only companies innovating when it comes to gift cards. EJ Gift Cards is a truly innovative modern gift card buyer – we can offer you cash via PayPal for all of your unwanted gift cards! Our process is simple and easy. Select your gift card from our list of accepted cards, get a quote, and sell it if you like what you see! You’ll get paid through PayPal, and if you have questions or concerns about our process, you can talk to our customer support team any time. So don’t let your old gift cards go to waste. Sell them to EJ Gift Cards today – and get paid.